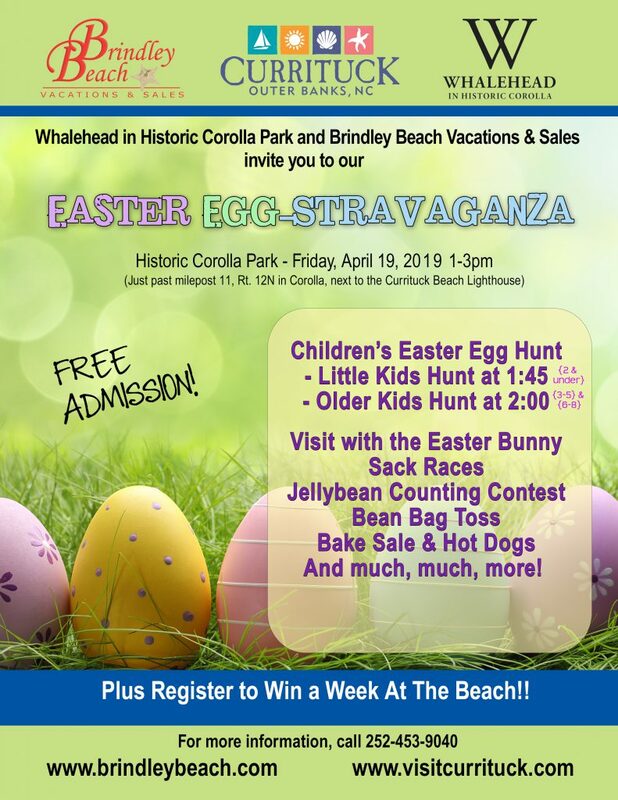 Sponsored and presented by Brindley Beach Vacations and Sales, join the Easter Bunny for an egg hunt in beautiful Historic Corolla Park! Enjoy lots of fun children’s activities such as sack races, bean bag toss, a jellybean counting contest, and much much more! Baked goods and hot dogs will be available for purchase. Call Whalehead at 252-453-9040 for additional information.